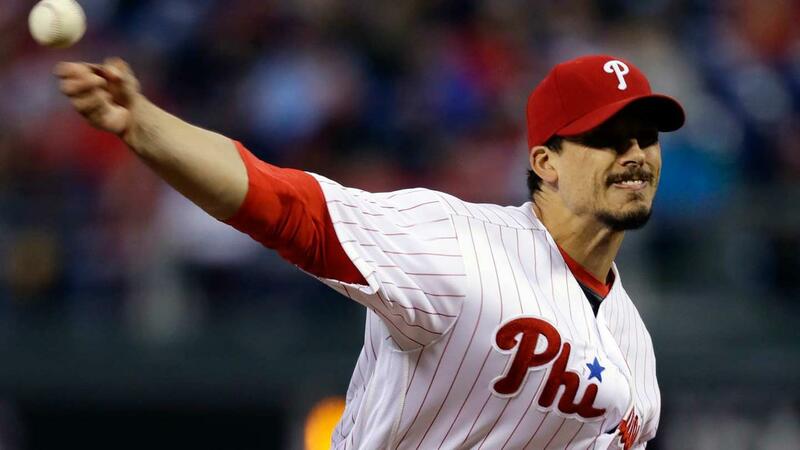 Phillies right-hander Charlie Morton had his sinker sinking beautifully Tuesday night at Citizens Bank Park. Morton allowed just three hits in 6 2/3 scoreless innings in a 3-0 victory over the Padres. The first eight games of the season have been a struggle for the Phillies' offense and bullpen, but the rotation continues to pitch well. It entered the night with the best WAR (1.2) of any rotation in baseball. "I feel like we're going to be in every game with our starting pitching," Phillies manager Pete Mackanin said. "And the way the bullpen seems to be shaping up, we're pretty pleased with the way it looks." Padres left-hander Robbie Erlin allowed just three hits and one run in six innings to take the loss. He allowed the only run in the sixth, when Odubel Herrera hit a two-out triple to score Tyler Goeddel. Other than that, Erlin was extremely effective working ahead in counts, as he threw 16 first-pitch strikes to the 21 hitters he faced, including 11 straight at one point. "You always want to start off, be the aggressor per se -- work ahead, stay ahead," Erlin said. "When you can do that, it makes things a little bit easier." A throwing error from second baseman Cory Spangenberg with one out in the eighth inning allowed the Phillies to score two insurance runs. What bullpen struggles? The Phillies' bullpen had a 12.66 ERA (15 earned runs in 10 2/3 innings) through its first four games, but it has pitched 10 2/3 scoreless innings in its last four. That includes 2 1/3 scoreless innings in relief of Morton as Jeanmar Gomez picked up his third save in three opportunities. Mackanin said he is not ready to officially name Gomez the closer, saying he doesn't want to jinx him. "I think the uncertainty of roles had something to do with it," he said about the bullpen's early struggles. 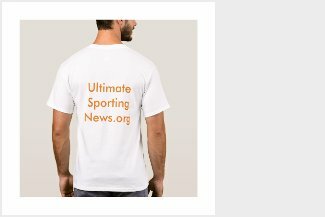 "Nobody stepped up during Spring Training and rose above the pack. I think everybody felt a lot of pressure to impress. Now they've kind of got their confidence back." Stranded in the seventh: The Padres had three men reach base in the seventh inning but couldn't push a run across. Melvin Upton Jr. was caught stealing on a botched hit-and-run with one out. Then, Alexei Ramirez and Alexi Amarista walked, chasing Morton, but Phillies reliever Hector Neris struck out pinch-hitter Wil Myers to end the threat. Goeddel gets it: Goeddel, whom the Phillies selected with the first pick in the Rule 5 Draft, picked up the first hit of his big league career in the sixth inning, when he singled to left field. It led to the first run of the game, when Goeddel scored on Herrera's two-out triple into the right-field corner. "It felt like it had been a year since my last hit, so to finally do it, I'm happy about it," Goeddel said. Jay's way: Jon Jay doubled in the third inning, increasing his season-opening hitting streak to eight games. He's two games shy of equaling the longest hitting streak for a player starting his Padres tenure. Justin Upton, Wally Joyner, Tony Fernandez and Keith Moreland all hit in 10 straight games to open their Padres careers. Carlos Ruiz caught Upton Jr. stealing in the seventh inning. Ruiz threw out just six runners attempting to steal in 52 attempts last season. His 88.5 stolen-base percentage ranked 27th out of 28 qualified catchers last season. Ruiz has thrown out 1-of-2 base stealers this year. With the bases loaded and one out in the bottom of the eighth inning, Phillies third basemanMaikel Franco hit into what appeared to be an inning-ending double play. But Spangenberg sailed his throw wide of first, and the ball was jarred loose out of the glove of Brett Wallace, allowing two runs to score. Padres manager Andy Green challenged the play, saying Herrera had slid illegally into second base, but replay confirmed the call on the field. After the game, Spangenberg was quick to note that the slide had no effect on his poor throw, saying, "I just messed up." Green himself acknowledged that he was taking a chance, given the situation in the game and the uncertainty around how the new slide rule will be called. "Until we get a handle on how it's being enforced fully, it doesn't hurt to ask for it in that situation," Green said. "We have to get a full understanding of how it's going to be enforced. When our team has the opportunity to challenge in that instance, I think it's wise to take that opportunity." Padres: Colin Rea takes the hill for his second start of the season, after laboring his first time out in Colorado. Rea needed 90 pitches to make it through 3 1/3 innings against the Rockies on Friday, and he'll need to be more efficient as he makes his second career appearance against Philadelphia, at 4:05 p.m. PT on Wednesday night. Phillies Phillies right-hander Jerad Eickhoff (0-1, 3.60 ERA) starts the third game of the four-game series against the Padres at 7:05 p.m. ET on Wednesday night at Citizens Bank Park. Eickhoff looked rusty at times in his season debut Friday against the Mets at Citi Field, but he missed much of the spring because of a broken right thumb.